The Seneca Falls Development Corporation (SFDC) and Generations Bank recently hosted a special presentation by Former State Senator Mike Nozzolio, who introduced a new economic development initiative for the Finger Lakes region. The initiative, Locate Finger Lakes, is designed to assist and foster collaboration among economic development efforts taking place throughout the Finger Lakes. At the meeting of the SFDC and community leaders Senator Nozzolio shared an overview of the positive economic health and potential of the region along with a discussion about the comprehensive website that was developed for residents, existing businesses, and potential businesses interested in locating operations and facilities in the Finger Lakes. He continued that through targeted and proactive marketing communications and networking, Locate Finger Lakes is focused on sharing the assets of our region with local, national and international business leaders. Communicating the commercial advantages to businesses and our quality of life benefits to attract their families, Locate Finger Lakes is positioned to help the entire region thrive. With a focus on collaboration, Locate Finger Lakes helps support the work of all Finger Lakes county and city IDA’s, Chambers of Commerce, Workforce Development Boards, tourism boards, 4-year and community colleges, BOCES districts, wine trails and all other business, labor, agricultural, tourism and job-producing organizations. More information regarding Locate Finger Lakes is available online. On the website at www.locatefingerlakes.com individuals and business owners can get details on regional advantages and details covering financing, job training, Finger Lakes living, research opportunities, and other aspects related to economic development. Locate Finger Lakes encourages existing businesses and start-ups to reach out with specific questions or needs by calling (315) 577-3796 or through email at locate@locatefingerlakes.com. 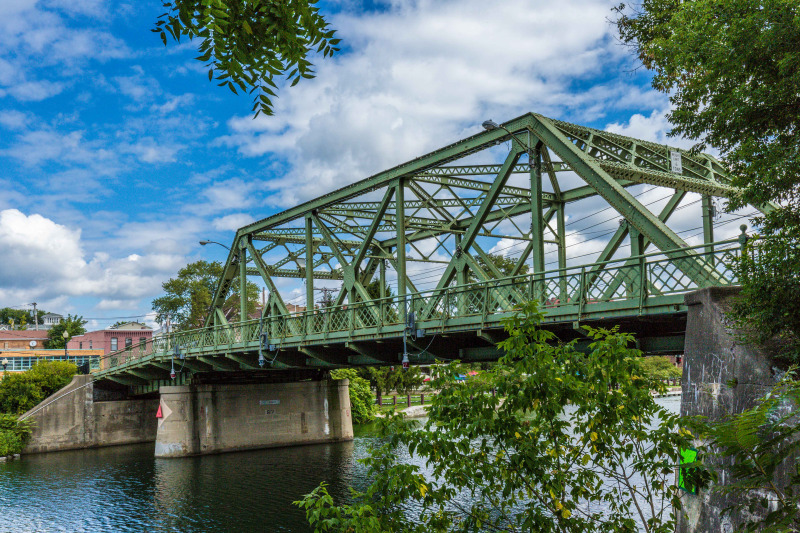 The Seneca Falls Development Corp (SFDC) announced that the Town of Seneca Falls has been selected as a finalist for the Finger Lakes Region’s $10 million Downtown Revitalization Initiative (DRI) grant. Today’s announcement follows an 18-month effort by the SFDC to lay a stronger foundation for economic growth, downtown revitalization, and ongoing grant pursuits for the Seneca Falls area. A new program designed to inspire and foster a more active lifestyle in local youth is coming to Seneca Falls. The Seneca Falls Development Corp (SFDC) was awarded a grant of $5,840 to fund their proposed Team Active8 program. Administered by the Rochester Area Community Foundation via the Ralph C. Wilson, Jr. Legacy Fund for Youth Sports, 20 projects were funded throughout the Finger Lakes region to help support and strengthen the quality, quantity and accessibility of regional youth sports and recreation programs. Team Active8 is a free 8-week program for children in grades 3-5 created by SFDC Director, Greg Zellers, to teach children how to stay active even in the absence of organized sports; to demonstrate the power of imagination; and to encourage the inclusion of non-traditional sports and activities in school and community center programming. Beginning in the Fall of 2018 and repeating in the Spring of 2019, Team Active8 will introduce traditional sport concepts through a series of non-traditional games and fun activities so area youth can sample a diverse range of sports and explore his or her skills without the pressure of athleticism, competition, or peak performance. Games and activities such as Billiard Soccer Golf, Ice Skating, Scoop Ball, Blind Volleyball, Kids Rule, Noodle Hockey, and Balloonapalooza will be used to encourage active play, increase confidence and motor skills, and foster an interest in ongoing physical activity or even future traditional sports participation. With the number of large playing fields and indoor facilities at a minimum, the Team Active8 program will provide game and activity ideas that can be played without the need for considerable space or a large number of players. Throughout the program, youth will discover that imagination is their most powerful play asset and that they don’t need a formal playing field to stay active. Develop a pilot program based on parent, participant, staff, and teacher feedback that can be implemented by school organizations, community centers, and youth clubs across the country while including additional age groups. Team Active8 will be a coordinated effort among the SFDC, the Seneca Falls Central School District, and the Seneca Falls Community Center. Program, activity, and registration details will be available at http://teamactive8.com once the program’s event calendar is completed in August. 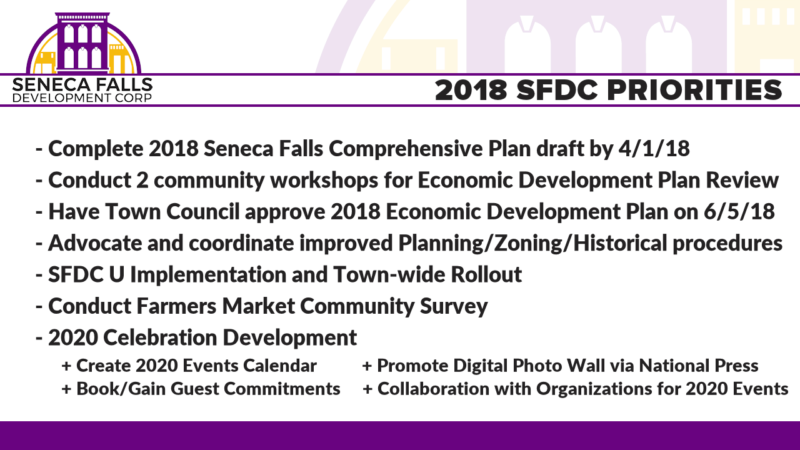 The Seneca Falls Development Corporation (SFDC) is inviting Seneca Falls residents, business owners, and community leaders to planned public Community Workshops to discuss the proposed 2018 Town of Seneca Falls Economic Development Plan. The first open workshop will be held on Wednesday, April 11th from 6pm – 7:30pm in the main meeting room at the Seneca Falls Recreation Center (35 Water Street in Seneca Falls.) The purpose of this initial workshop is to discuss the proposed draft in more detail and gather public input before the final version is submitted to the Seneca Falls Town Council for consideration. The second open workshop will be held on Thursday, April 26th from 6pm – 7:30pm at the same location to finalize any proposed changes from the initial workshop and draft the accompanying Action Matrix for the upcoming 2018 Town of Seneca Falls Economic Development Plan. A copy of the proposed draft is available online at http://senecafallsdevcorp.org/plan and people are welcome to download or read the document prior to the workshop. Each workshop will include a discussion period where the purpose, contents, and implementation of the proposed plan will be discussed so attendees can better understand the changes and additions made to the original plan. Community input is welcome as the plan enters its final stage before presentation to the Town Council for adoption. We Look Forward to a Busy Year! 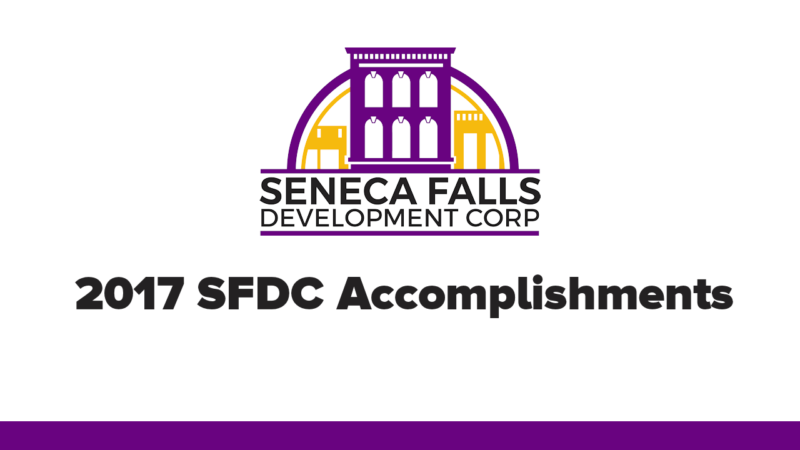 The Seneca Falls Development Corp is pleased to present a recap of 2017 Accomplishments as well as a look forward with the priorities outlined for the 2018 calendar year. The following slideshow highlights the pursuit of our underlying goal of supporting existing businesses, showcasing the Town of Seneca Falls, and building a stronger foundation to help attract new companies and organizations to our area. To scroll through the slideshow, simply hover over each slide and click the Next or Previous arrow buttons. Have feedback? Suggestions? Do you have questions? We’d love to hear from you! The Seneca Falls Development Corporation (SFDC) released an update on ongoing economic development efforts for Seneca Falls early Friday morning. 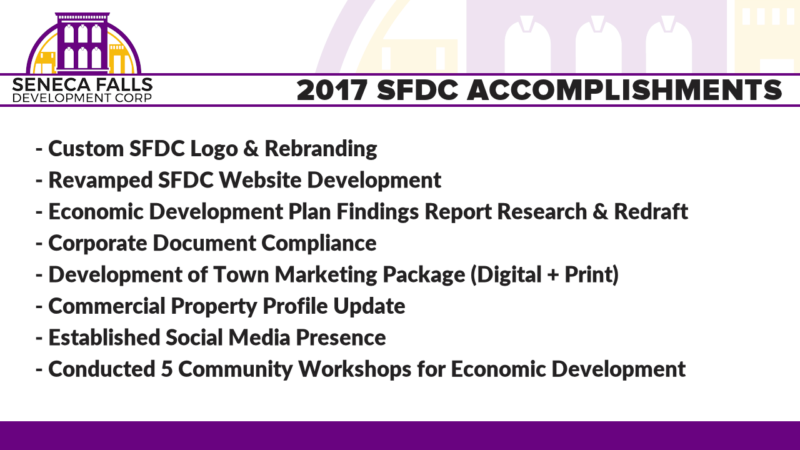 The SFDC, formed as an arm of the Seneca Falls Town Council, is committed to economic and community development within the Town of Seneca Falls. Comprised of volunteers and a Director working on a part-time basis, the SFDC works to improve and boost the Town’s visibility, commercial growth, and area appeal through the planning and implementation of relevant programs and projects. The Town’s current economic development plan is 10 years old and elements are not only out of date, but have minimal relevance in today’s business climate. The SFDC has been working in conjunction with the Town Council, community members, business leaders, and consultants to update each of the plan’s components. The Findings Report, available here, is now current and provides an overview of the Town’s immediate and surrounding influences, impacts, and status. The Action Matrix is currently being updated through a series of community workshops, whereby residents and business owners alike can come together and contribute ideas, recommendations, and discussion. Community Workshop dates will resume in September and be posted on the SFDC website. The Comprehensive Plan is currently undergoing a complete overhaul in order to make it more current, relevant, and actionable. With 10 years passing since the Town’s economic development plan was last updated, a considerable amount of work is required. Once each component is updated, which is anticipated to be by the close of 2017, Seneca Falls will present an updated and streamlined 2017 Economic Development Plan. Having such a plan in place is critical when it comes to State and Federal funding, grant opportunities, rehabilitation efforts, and project approvals. 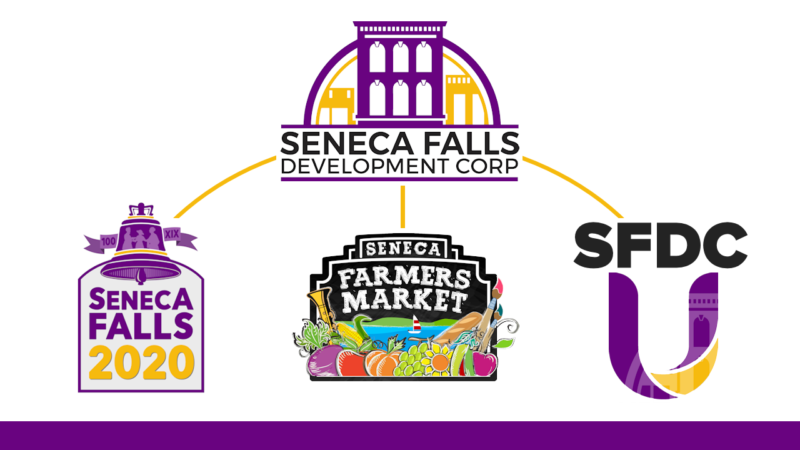 The SFDC is responsible for the operation of the Seneca Falls Farmers Market, which continues to grow in popularity. Despite farmers markets regionally and nationwide seeing a decline in numbers, the Seneca Falls market is seeing an increase in both vendors and attendance. The market features locally-grown just-picked produce, fresh baked treats, artisan goods, beef and poultry, local maple syrup products, locally-harvested honey, and more. Children’s programs, Live music, and an on-site BBQ truck help fuel interest. The market is open every Wednesday from 9am – 1:30pm in People’s Park right along the waterfront at 15 Water Street and runs through early October. To help provide a more viable platform for communication, exposure, and resident/business outreach, the SFDC recently completed its website. SFDC documentation, meeting announcements, business virtual tours, area information, and presentation literature for businesses considering Seneca Falls are all available. The SFDC will soon be reaching out to area businesses about adding their location to its Virtual Tour component so that we can collectively promote all our area has to offer. 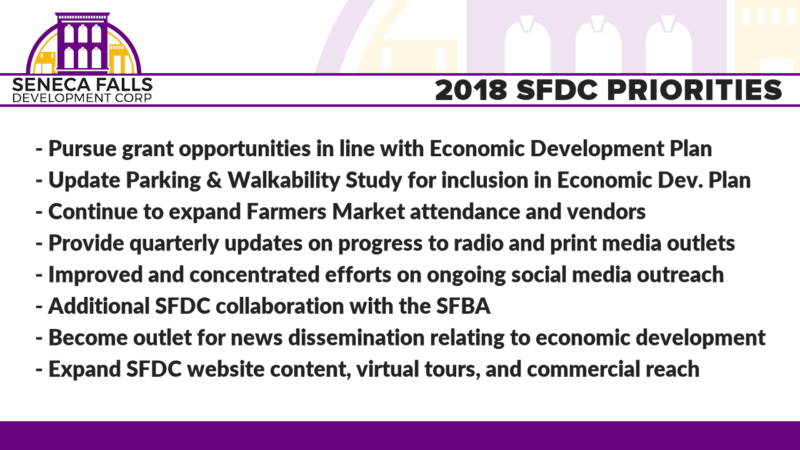 The SFDC also recently completed a new full-color 12-page presentation document as part of its upcoming brand initiative for expanded economic development efforts. Designed to inform, intrigue, and engage prospective employers, employees, commercial developers, and families, the publication is available on the SFDC website at http://senecafallsdevcorp.org/welcome.pdf and will soon become part of a more comprehensive package that includes available commercial real estate, an events calendar, a snapshot of things to do in and around Seneca Falls, and more. The SFDC has assembled a downloadable document that showcases all available commercial real estate within Seneca Falls…from Fall Street to the outlying areas. By combining listings from multiple sources, business owners can have a more streamlined view into what’s available. Updated on a monthly basis, the Seneca Falls Properties document is available to any business considering relocation, construction, or expansion within Seneca Falls. In an effort to help bolster existing Seneca Falls businesses and strengthen our town from within, the SFDC will soon be unveiling a social media marketing program that will be available exclusively to Seneca Falls businesses at no charge. This initiative coincides with the SFDC initiative to try and “attract” rather than “pull” businesses to our area. By assisting and strengthening the core businesses that already exist in Seneca Falls, we can better attract others through a position of support and encouragement. Through a series of walkthrough instructional videos, worksheets, and guides, businesses will learn how to better navigate social media and use the channel to their benefit. From introductory level guidance on building exposure to high-level Facebook advertising and retargeting, the program will showcase something for everyone. While highly dependent on having an updated economic development plan, the SFDC is working closely with the Town Council and grant consultants to investigate and apply for grants and funding support relevant to our town’s growth. From our pursuit of a $10 million DRI grant in 2018 to exploring Brownfield rehabilitation funding to smaller grants that can help foster consistent improvements, no opportunity is left unexplored. The SFDC mentioned that grant pursuit efforts will ramp up considerably once the 2017 Seneca Falls Economic Development Plan is completed at the end of this year. 5StarMedical is an emerging leader in medical device manufacturing and is in the process of relocating its headquarters, and ultimately, its manufacturing center, to Seneca Falls. With a spike in employment opportunities expected, their presence will help bring additional cutting-edge technology and industry to the area. The plan for high-end apartments and beautification on Van Cleef Lake continues to progress and the SFDC is excited to work with Longley-Jones to help facilitate the project. Revitalizing and remodeling the old hospital and municipal building will bring a welcomed change and invite further development. In mid-September of 2017, the SFDC will be launching a Facebook community built specifically for the exchange of ideas and updates between businesses, residents, and community leaders. Intended to help inform and facilitate economic development progress, the group will be open to all Seneca Falls residents and business owners. Rather than have Seneca Falls remain a footnote in the regional landscape, the goal is to become more visible, more vocal, and more viable. All of which relate to the SFDC’s primary objectives for sustained economic development. The SFDC welcomes community input, ideas, and suggestions. Residents, business owners, and community leaders alike are invited to contact the SFDC via its website to start a dialogue and interact. Development is underway throughout Seneca Falls through a variety of new projects and the goal of the SFDC is to build upon this momentum. 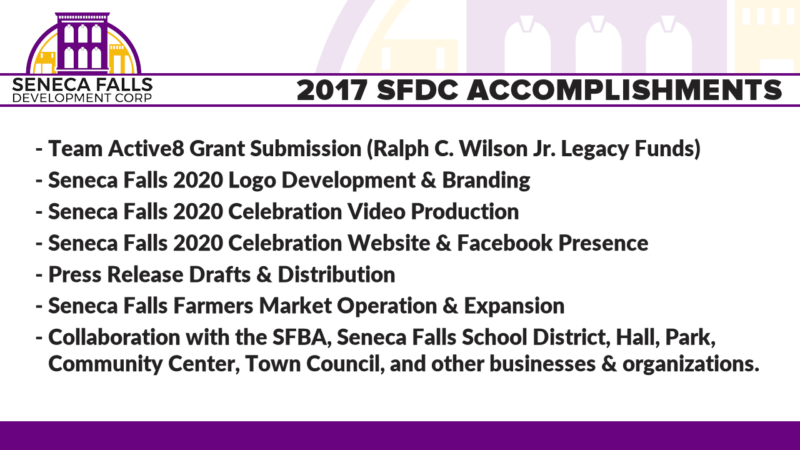 Through a series of new communication channels, the SFDC will work to keep the Seneca Falls community updated on progress, pursuits, and achievements. Revitalizing Seneca Falls isn’t just a Town Council effort. It isn’t just an SFDC effort. It’s a community-wide effort. And the SFDC is working hard to help make this a reality for businesses and residents alike. The Seneca Falls Development Corporation is committed to pursuing economic development within Seneca Falls. Through a progressive plan that begins with fostering existing area businesses, we want to strengthen our Town’s appeal from the inside out. From being recognized as the birthplace of Women’s Rights to its once-dominant presence in manufacturing, Seneca Falls was long regarded as a place of progress. Yet over time, just as many small towns experienced, the once-busy manufacturing plants grew dormant. Large employers vacated for foreign lands and the economic downturn took its toll, stifling industrial, commercial and residential growth. Today, our dedicated team is working to recapture the town’s history of progress by bringing economic development to the forefront. The underlying strategy? Build the future by embracing the past. Every holiday season, thousands of people from across the country come to Seneca Falls to celebrate Frank Capra’s Christmas classic, “It’s a Wonderful Life,” which featured the town of Bedford Falls. A fictitious town that is long believed to be inspired by Capra’s visit to Seneca Falls in years prior. In 2016, the town will host the “Bailey Kids,” as each of the children featured in the movie will be available for discussions and reminiscing. Townspeople dressed as characters from the movie will walk along the downtown streets and dozens of activities centered around the iconic film will take place throughout the highly anticipated weekend. The town knows that the good old days represented in “It’s a Wonderful Life” don’t have to remain a distant memory. 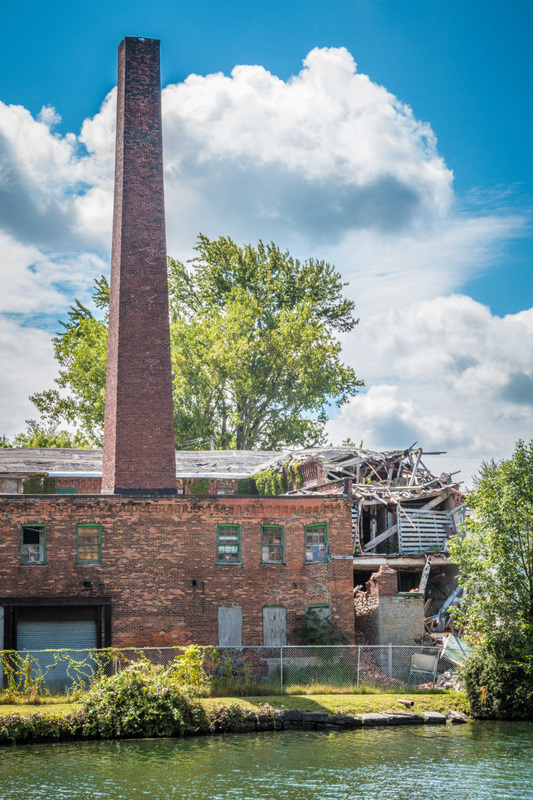 As Seneca Falls works to stimulate growth in industrial, commercial, and residential facets of life, it’s already seen a number of encouraging signs to build upon. Aside from the annual celebrations and events that already attract people to the town, Seneca Falls is also the home of the National Women’s Hall of Fame. Benefiting from several grants, the Hall of Fame is on track to relocate into a $20 million renovation of the historic Seneca Knitting Mill. Within its Center for Great Women, the Hall will reignite the passion for showcasing and preserving the history of women’s achievements, with an ultimate goal of inspiring and supporting future generations. Seneca Falls is also prepared to welcome Five Star Medical Corporation, a global medical device company, which announced that they will soon be headquartered in Seneca Falls. Five Star will be renovating a historic building on State Street to house a $5-6 million manufacturing facility that will employ 50 people. Longley Jones Management Corporation, a real estate firm out of Syracuse, New York, recently purchased the former Seneca Falls Hospital and adjacent vacant town municipal building on Van Cleef Lake. With plans to renovate the buildings and create upscale apartment units, the public green space and walking trails will be incorporated for use by local residents and visitors. Downtown Seneca Falls is seeing a renewed interest in cultivation and several grants are being pursued to help the town expand its reach while retaining its charm. While the town is driven by a stance of progress, it recognizes that its small-town appeal must never be compromised. As the team works to revitalize downtown, cultivate other commercial areas, stimulate tourism growth, and implement a wide range of marketing and promotional programs, the footprints of the past are destined to be incorporated. The town has a long list of homegrown historical figures to make proud, and stimulating economic growth through the inspiration of their own achievements will continue to be a driving force. We look forward to updating our progress via this website and what you see here today is only the beginning. Within the next several months, this site will become a portal for visitors, residents, and businesses alike. All with one common mission…to showcase everything Seneca Falls has to offer and share everything we’re doing to embrace and improve our Town. 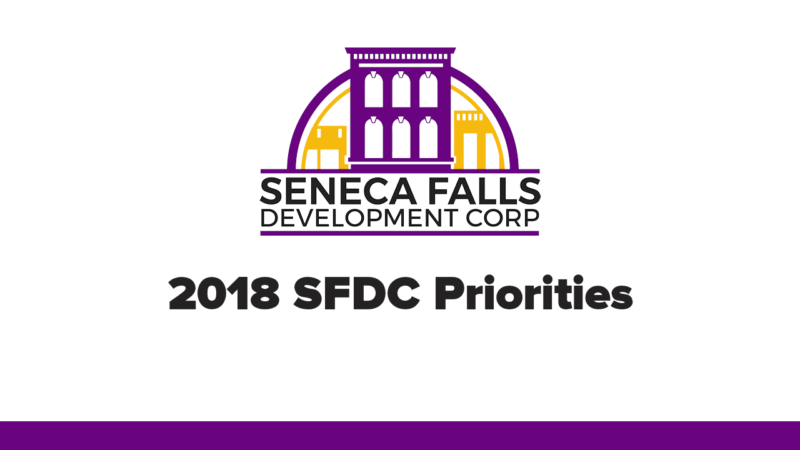 The Seneca Falls Development Corporation (SFDC) announced today that it has completed its 2017 Findings Report following a meeting of interested community members. Intended to foster a more traditional approach to economic development planning, the Findings Report provides a general overview of the statistics, conditions, opportunities, and influences relevant to Seneca Falls. Multiple interviews with regional economic development organizations, tourism professionals, university representatives, State economic development and labor officials, industry trade groups, and local business leaders. Extensive research relating to emerging technologies, innovative public-private partnerships, tourism enhancements, effective marketing techniques, demographics, population shifts, labor trends, and tax incentive programs. Case studies of successful revitalization efforts in similarly-affected towns and municipalities. 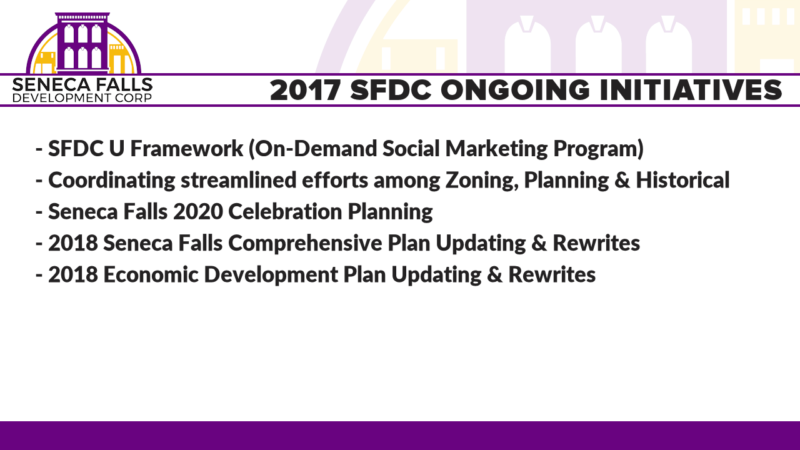 Rewriting the Findings Report was the first step in the SFDC’s goal of updating the Seneca Falls Economic Development Plan. To coincide with emerging residential trends and progressive shifts in the overall commercial climate, the 2017 Findings Report has been expanded to provide a more localized view of Seneca Falls. Once completed, the updated Economic Development Plan will be the anchor behind efforts to pursue grant funding for a wide range of State- and Federally-funded projects, including infrastructure improvements, downtown revitalization initiatives, business attraction campaigns, site remediation programs, tourism marketing, regional partnerships, and improved quality of place. “The landscape of small town living has changed. Not only for residents, but for the commercial and industrial interests that help our town thrive. The purpose of this Findings Report isn’t to make suggestions or recommendations. It’s meant to provide a summary of details, data, and case studies so that planning can continue and ideas for growth can be formed.